WHICH CLIMATE HAS THIS COUNTRY? 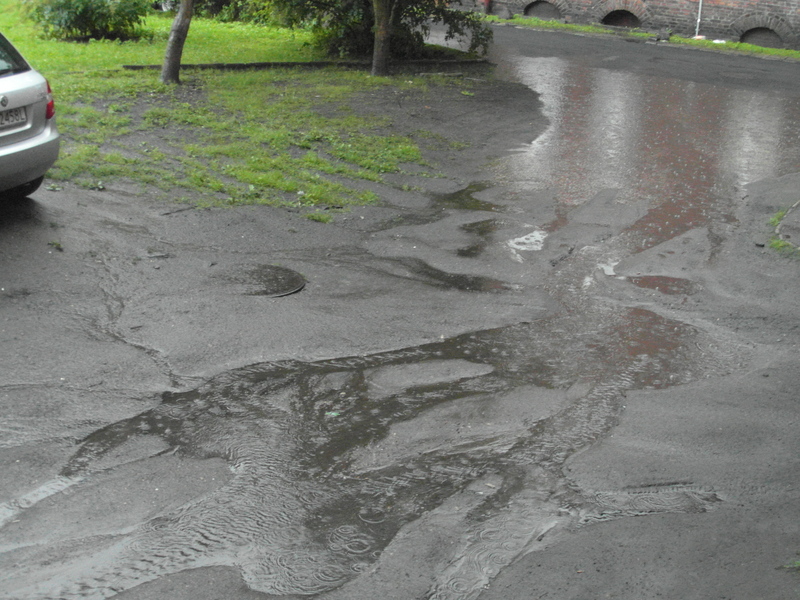 When I arrived to Poland it was June, I remember that the first day it was raining and my flat was cold. I had to wear long pyjama and buy two pairs of wool socks. 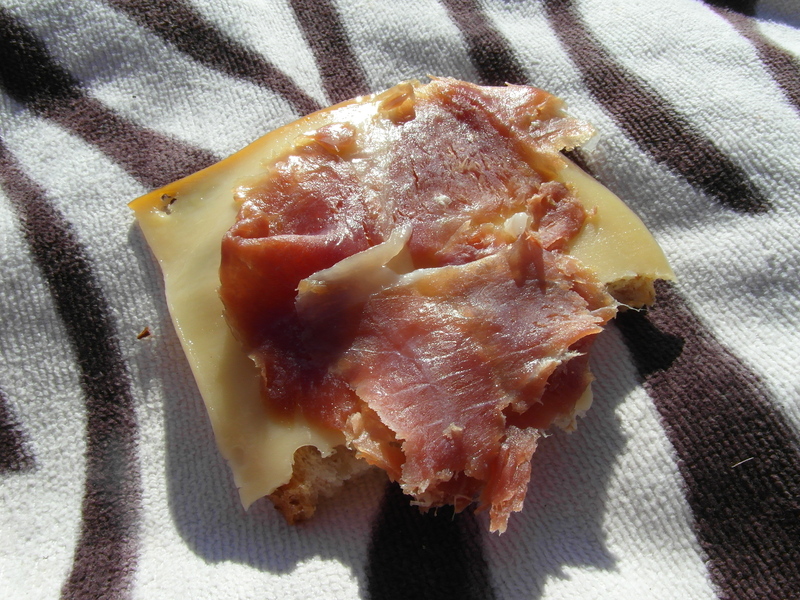 I didn´t want to be in Poland !! During a week it rained without stop and the storms were amazing. I haven´t seen the same before. I thought that the roof of my flat will fall down and that some thunder come to me in the street. An experience happened to me with a friend from Ukraine (Oksana Bondar) : There was the day when Spanish football team played the final of European Cup. We wanted to see the football match in Spodek but it was impossible. We were waiting there for a long time under a roof and finally we decided to go home. 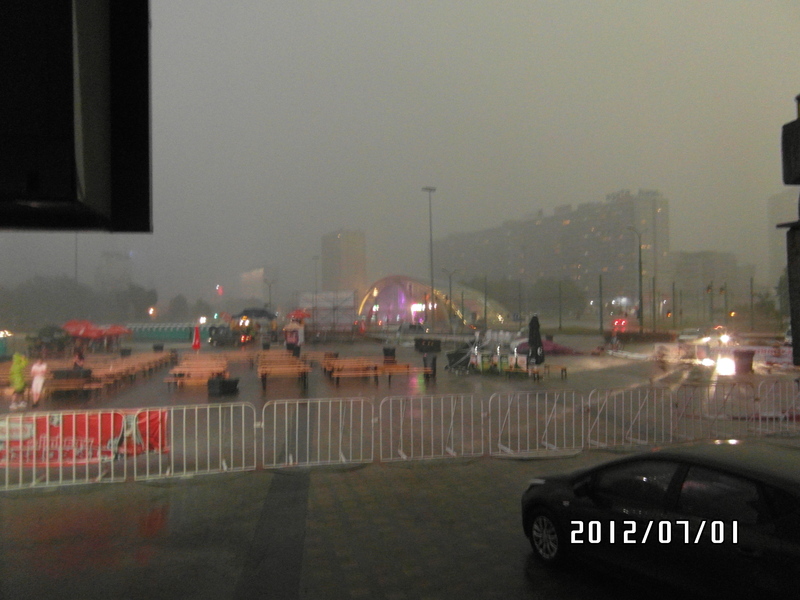 The Sky in Katowice was black, orange, brown, the sun umbrellas in Spodek were fall down, the windy destroyed everything… DISASTER! and when we arrived to home it was the second part of football match. Spain won European Cup but still was raining till midnight. I remember that I was talking with my flatmate about my Grandmather. She hates storms and when storm is coming, she is going to her bed and she is keep herself under the blanket until when this storm dissapear. I was imagining me all summer in my room without nothing to do. But the weather changed. The mornings were warm and Maria wear summer clothes. 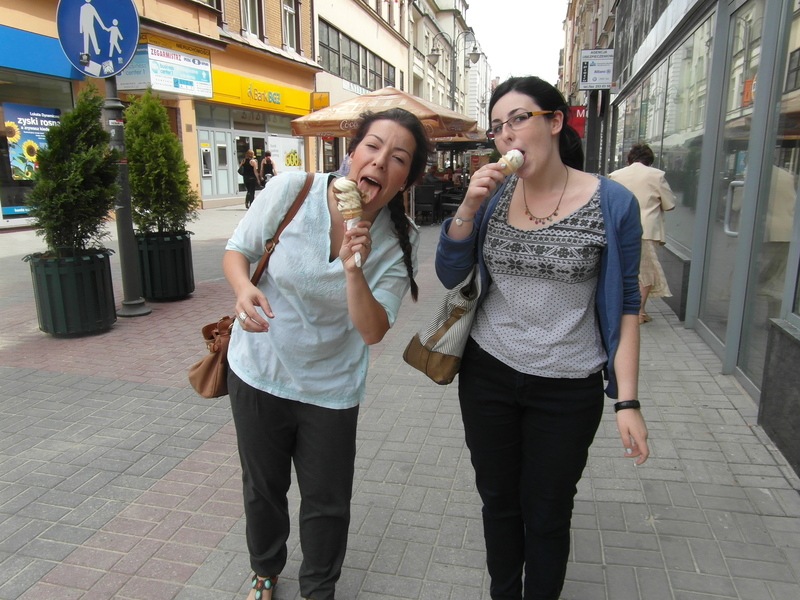 In the office break Carolina (Volunteer of Bona Fides), Tetiana and me went to buy our ice-creams… delicious!!. but the evening started to rain and Maria didn´t know what to wear. During June and July this is was the weather in Poland. 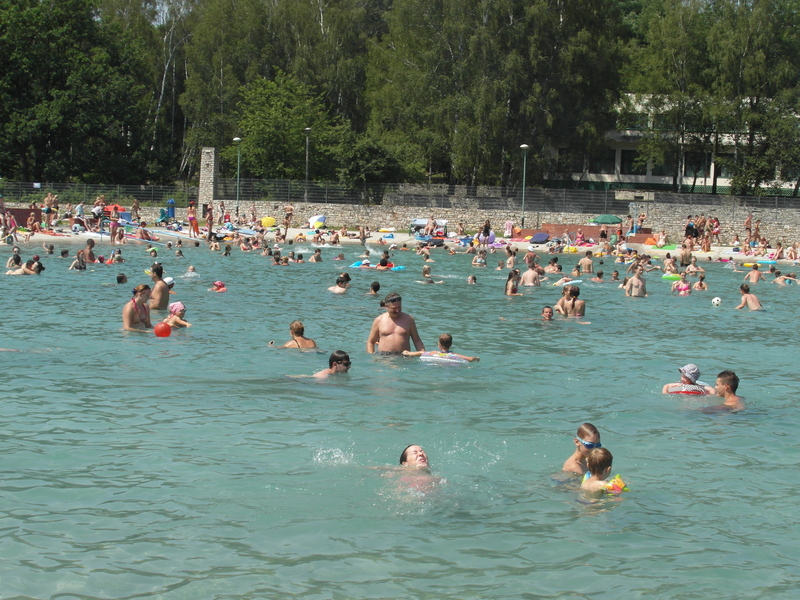 In the beggining of August the summer started and we were swimming in Gliwice. There were a lot of people there. It´s some kind of swimming pool and it´s cheaper. 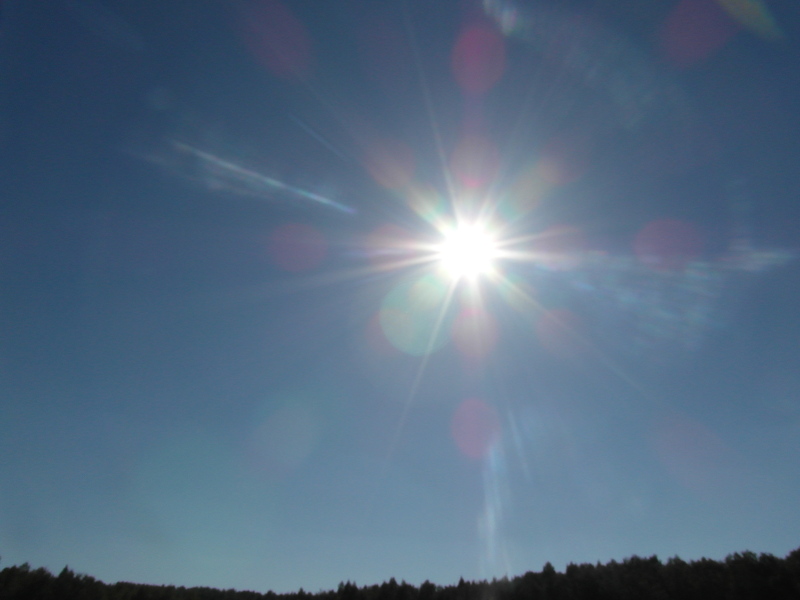 I need the sun for survive and I think Polish people too. But why Polish women have dark skin? aa I know it´s not because they took sun it´s because they spent a lot of money in Rayos V. Also now I can understand better how the weather influence in their caracter and for this reason when they are going abroad they come to Poland fell in love with this country and with the sun of south of Europe, but for some of them it´s difficult to go in summer because they can´t even breathe there. Having in August, one week ago the weather changed again, one night I wear a dress which one it´s for summer and also summer shoes and suddenly started to rain to much and during all night. A girl from Poland being in Wroclaw told me that summer in Poland is finished… but how I can believe her? Yesterday when I woke up and I look on my window there were people in front of my room taking a sun in the garden. Are they crazy I thought? Nie Nie. 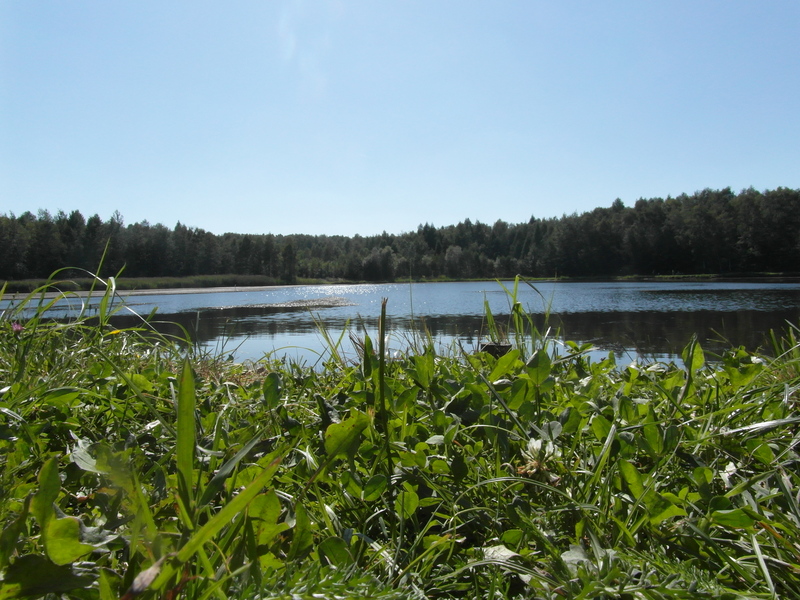 It was 28ºC so I decided to wear my bikini and go to some lake near to Nikiszowiec. When I arrived there a lot of people were enjoyed this day. It was wonderful, colourful. The people were fishing, eating, drinking, playing. The animals jumping of happiness and I was lying with my book, my food and thinking about myself. During 4 hours I was there and I was the girl more happy in this world just with shining sun but…. Which weather it will be tomorrow?? Surprise, Surprise. I will be ready step by step.